WEST UNION (52) — R.Rothwell 8 (0) 0-0 16, Ca.Campbell 1 (0) 1-2 3, B.Staten 0 (1) 0-0 3, C.Madden 1 (1) 0-0 5, B.Tomlin 1 (0) 2-2 4, Co.Campbell 1 (0) 1-2 3, Z.Kingsolver 6 (1) 3-4 18. TOTALS: 18 (3) 7-10 52. WHITEOAK (47) — B.Ashbaugh 0 (2) 0-0 6, C.Butler 1 (1) 0-0 5, D.Cumberland 3 (0) 3-6 9, N.Frazer 1 (0) 0-0 2, H.Ruckel 0 (1) 1-1 4, Z.Rand 2 (1) 2-3 9, L.Cummings 1 (0) 0-0 2, B.Yeager 5 (0) 0-0 10. TOTALS: 13 (5) 6-10 47. 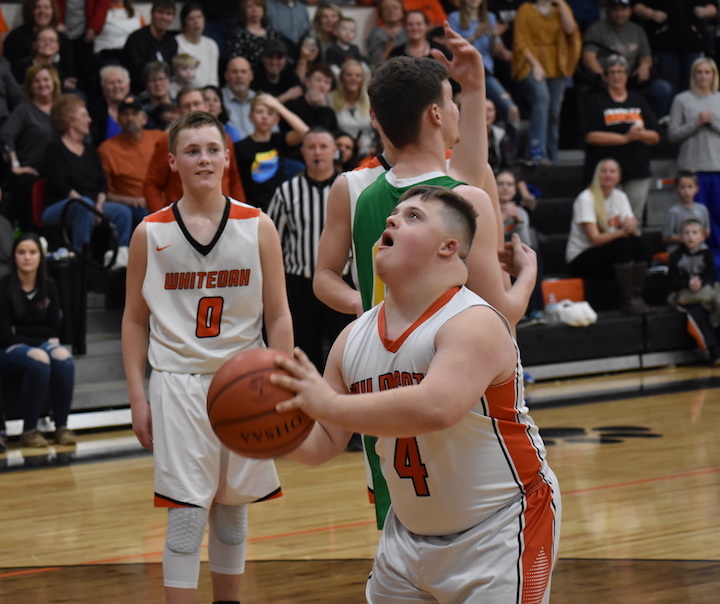 The Whiteoak Wildcats celebrated senior night, but as for the final score in their Southern Hills Athletic Conference game on Friday night against the visiting West Union Dragons, it didn’t go in their favor, falling 52-47. Whiteoak (3-8, 9-11) trailed after every quarter played, but the score was close at the end of the first two frames with West Union (8-4, 11-9) leading 16-12 at the end of the first and 29-28 at halftime, as it was Whiteoak that cut into the Dragons’ lead with a 16-13 second quarter. In the first quarter, the score was tied on four occasions, from 2-2 to 10-10. In between, it was Chase Butler who sank a basket at the 5:52 mark to make it a 4-4 score, and later he tied the score at 7-7 with a 3-pointer with 4:57 left in the opening quarter. Butler finished the game with five points. Once the score was tied at 10-10 off a 3-pointer by Whiteoak’s Zach Rand with 2:59 left in the first frame, West Union took the lead back with a basket by Clayton Madden and later added to their lead with a bucket from Ryan Rothwell — who finished with 16 points — at the 2:20 mark. Rand came back with two points for the Wildcats, but West Union’s Bowan Tomlin pushed the Dragons’ lead to four points for a 16-12 score at the conclusion of the first quarter. Other WHS scorers in the first included Logan Cummings with a two-point basket at the 6:31 mark, then tying the score at 2-2. 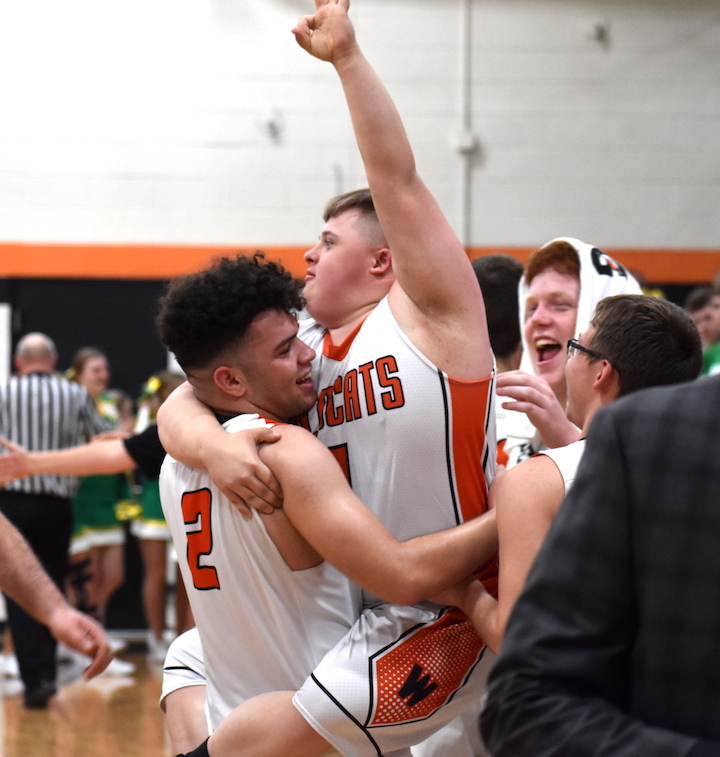 The second frame saw the Wildcats outscore the visiting Dragons, 16-13, and they were first to score points in the frame as Deavin Cumberland scored a basket 50 seconds into the frame. Brayden Yeager tied the score at 16 for the host Wildcats with a two-point basket. Yeager led the Wildcats with 10 points. West Union regained the top advantage with a hook shot from Zane Kingsolver, but WHS went ahead with a 3-pointer from Bradley Ashbaugh — who scored six points — followed by a bucket by Cumberland for a 21-18 lead with 4:09 remaining in the first half. Cumberland ended the game with nine points. For West Union, Kingsolver led the team with 18 points. Following a two-point basket by the Dragons, both teams basically exchanged baskets for the rest of the second frame, with Whiteoak trailing by one point at halftime. 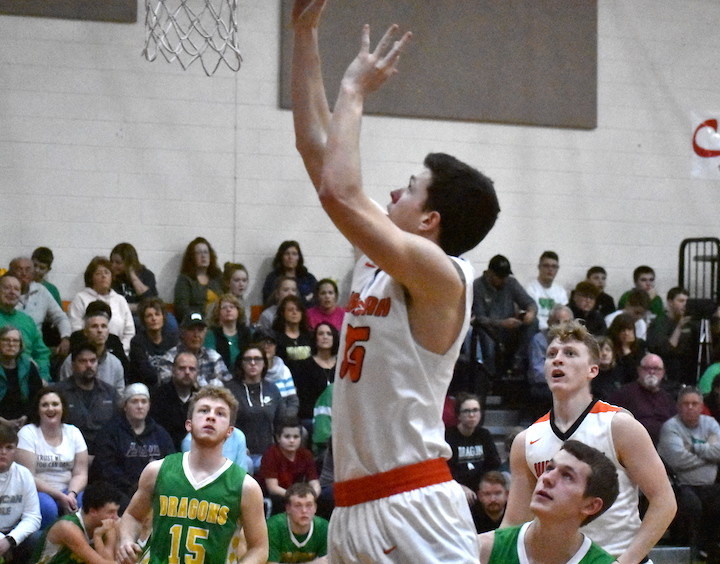 The Dragons began to add to their lead and slowly pull away from the Wildcats in the third, though WHS scored the first five points of the quarter with a 3-pointer by Hunter Ruckel — who totaled four points for the game — and a two-point basket by Yeager for a 33-29 Wildcat lead. 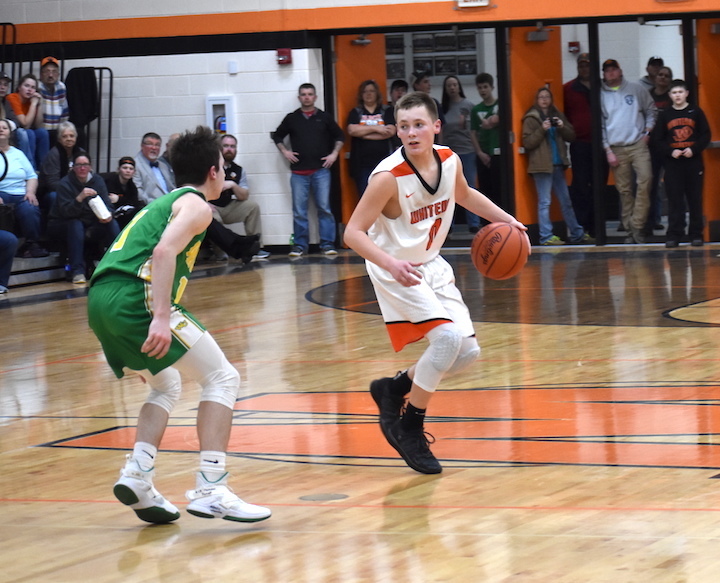 Later, Ruckel made a free throw for the ’Cats, and eventually WHS increased their lead to 36-33 following a put-back bucket from Rand — who totaled nine points in the game — with 2:06 left in the third frame. West Union ended the third with eight straight points in a span of 1:26 to win the frame at 12-8 and take a 41-36 lead. 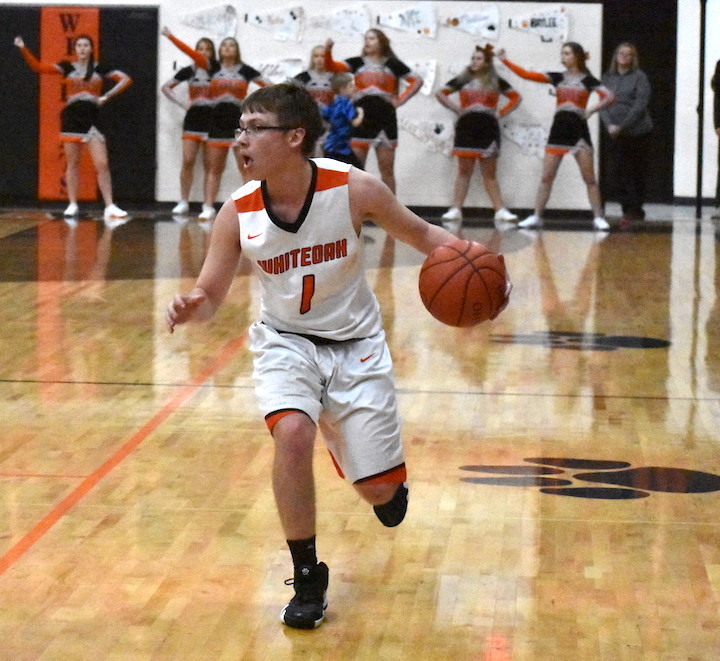 Both teams scored 11 points in the fourth quarter with the Wildcats having two points from Cumberland, one point by Ruckel, two points by Rand and four points by Yeager in the final fame. 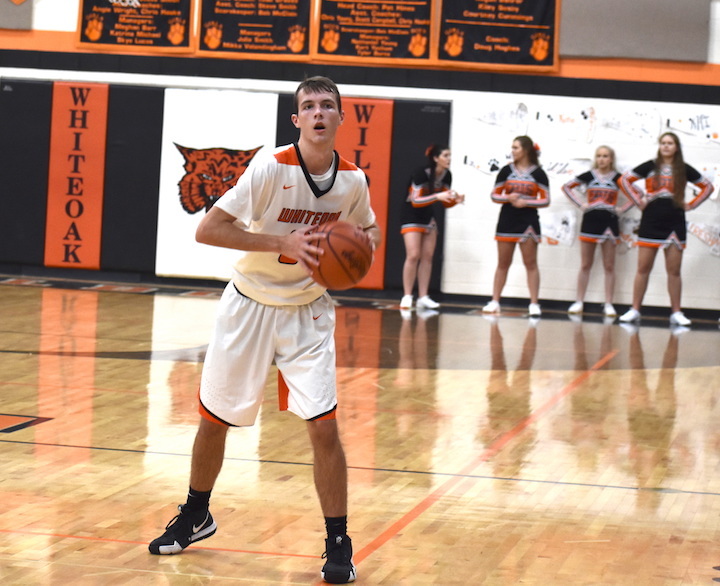 Those were the first nine points of the fourth, but the most exciting points of the quarter came from Whiteoak senior Nate Frazer as he sank the final bucket of the game as time expired for WHS, with the stands jumping to their feet in celebration for the WHS senior. 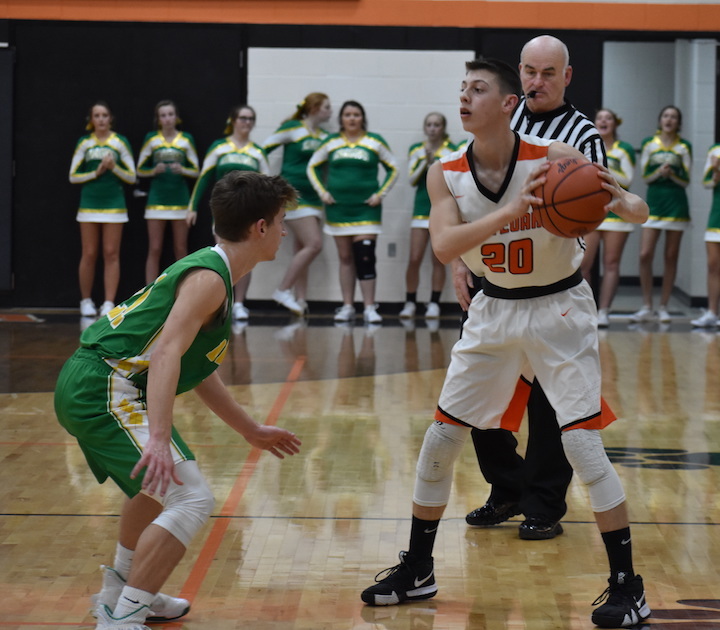 Next for the Wildcats is an away game on Friday, Feb. 15 at Lynchburg-Clay in SHAC action. The Mustangs lost on Friday night to the North Adams Green Devils by a score of 58-42. LCHS is now 1-11 in the SHAC and 2-17 overall.